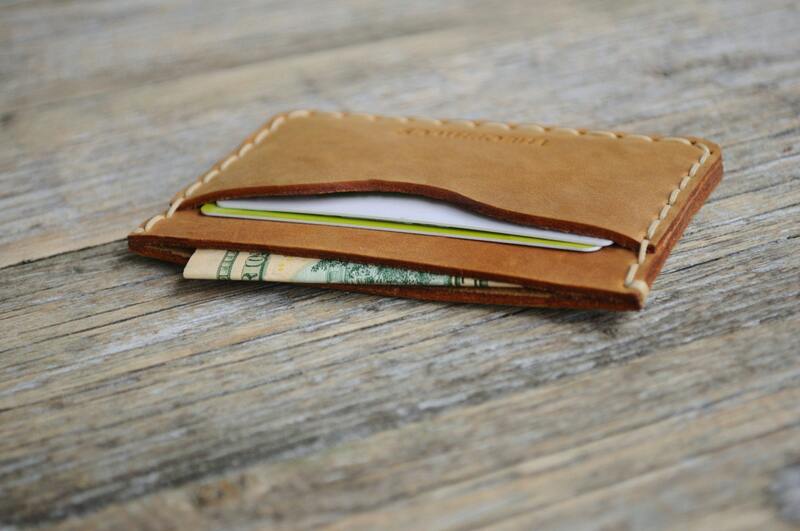 Tan Brown Leather Wallet. PERSONALIZED Credit Card Cash and Banknote Holder. Rustic Rough Style Pouch. wallet. 12 characters per row maximum, with the option for 1-2 rows. Looking for a wallet that will actually fit in your front or back pocket? 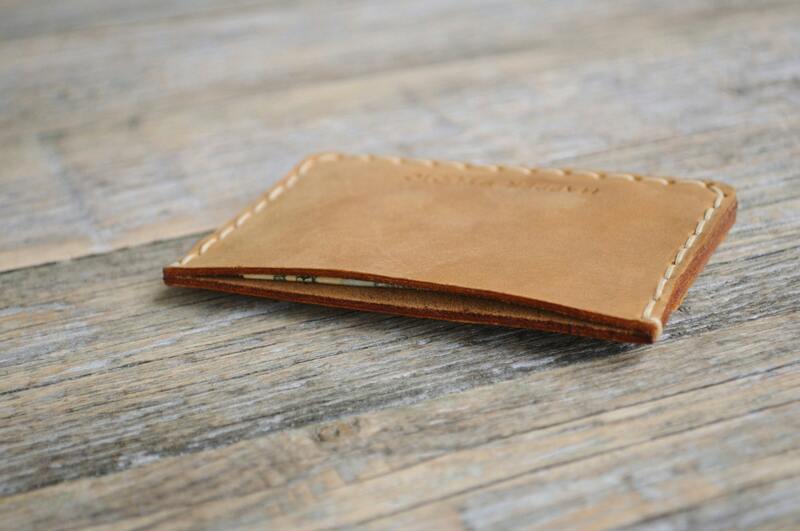 We are proud to introduce to you our very light brown rustic style leather wallet! Handmade to be slim and keep bulk to an absolute minimum, this wallet is guaranteed to carry your essentials while not filling your pocket. 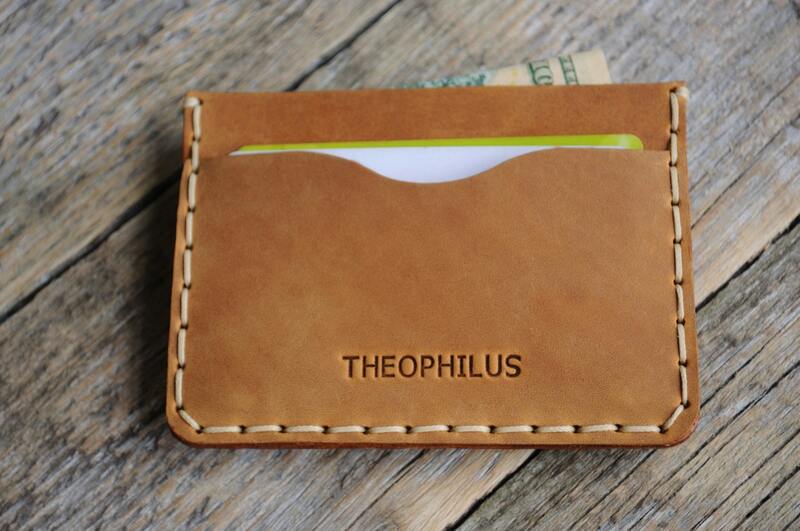 Produced using the best quality cow leather we could find, this wallet is dependable and sure to last. Please note that all of genuine leather items differ since leather naturally has inconsistent texture and markings. The item you see in this picture may differ slightly in texture or markings from the one we have in stock. Happer Studio logo is optional on all items. To browse other wallets in our store click here! Very good quality, slim and aesthetic. Just what I needed.